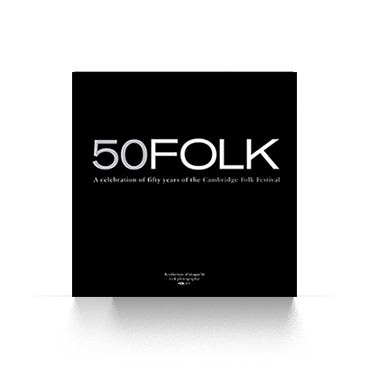 This limited edition, fine art, book features a collection of rock photographer Nick Elliott’s favourite images of folk, blues and Americana performers shot during his time working with artists, record labels and major music publications at Cambridge Folk Festival. This 132 page high quality, hard-backed book features over 80 images of 50 artists performing at the festival over a ten year period from 2000 to 2010 and is Nick's own personal celebration of the festival. "This great festival holds a very special place in my heart. "So much of my career started at Cambridge Folk Festival that I felt I really wanted to do a celebration of my involvement in only a part of its 50 year history. "There are so many images I love from my time working there that I wanted to share these and I hope people view them with the same passion with which I shot them." Capturing the artists’ performance like no other photographer, this book is a 'must-have' for all lovers of Nick’s work to own and treasure.